So here I am on my final post of the ten day series Counting My Blessings and I am going to cheat, I am counting three in this post, and will put it under the heading ‘My Family’. First let’s talk about my son Tom. I chose this picture carefully because he is on top of a peak in the Lake District in England, with the sun behind him, and for me it symbolises how he can do anything he wants, he is young, and his life is in front of him with every opportunity available should he wish to take it. I am proud of him: how he has coped with mum and dad moving to France, has pursued his dream of working in the gaming industry and has never given that up. I don’t think he realises just how much strength you need to pursue your dream, and exactly how much strength he actually has. He is full of fun, empathetic and learnt his lesson to walk in others shoes and is loved by so many people. I am proud of him. Now my second blessing, my sister. She will kill me for putting this photo on, but she has to be in this, not least for the support she has given Tom over the past four years. The second photo is of Tom and I, with Tom getting ready to walk her down the aisle. We have had our ups and downs, as sisters do! She thinks she’s always right ( and annoyingly more often than not she is!) But she is always there, she cares, and Tom would not have his dream job without her tenacity and love. If any of you have read my serialisation of my soon to be published book (it will happen this year whatever) https://makingthisbetter.com you will know how Rich I and sailed The Ocean of Despair for a long time, to get to where we are today. This man fought tooth and nail to keep me; he evolved because he wanted to, not because I asked him to; because I never did! After what happened he had to keep up with me, I wasn’t going to wait for him! And every minute of every hour of every day he did. I once had someone say to me that they ‘had never had a man look at them in the way Rich looks at me’ and that was true, I know I am truly blessed to have that in my life. He is a kind and gentle giant, who enabled me to trust him enough to come on this adventure. He makes me laugh every day, literally every day, with his dry sense of humour, and silliness. Everyone he meets loves him, because he just sees the funny side of life. Look at him in this picture, he is so naughty he has led them all astray. I am blessed to have this man in my life, he is sensitive and loving; strong when I need him. I could not be on this adventure without him. We are blessed to be as strong as we are now, and we both count that blessing every day, and NEVER take it for granted. I know he will cry when he reads this; and that just makes me love him even more. So my final blessing, my family, but more than that: the pride I have for my son, the hope I have for him too. The understanding I have of my sister, and the respect too. My book wouldn’t exist if it wasn’t for her! The respect I have for my husband, the love I have for them all. I am truly blessed. I hope you have enjoyed this series; And I hope it has made people think about the small things, because, trust me, they are the things that keep you going in life. So in this New Year, please take time to stop, and see the small stuff. You’ll all be glad to know that the Incredible Hulk is now back in his cage. Yesterday after blogging and writing I spent the afternoon in the garden with hubby and the puppies. The sun was shining on this late autumn day, and it was cold, with a nippy wind, and I loved it. I let the cold air blow through my brain, and remind me, as the Tao so often does, that what is needed is what you’ve got. Nearly three years ago we chopped down fourteen pine trees that divided our garden and cut out the light. They were big babies and trying to cut through them with just a chainsaw was nigh on impossible. They’ve been protection for the chickens, an extra to make sure Wiglet could not get under the wire. They have been used to hold the fencing down around the garden, and they have been used as perches for the chooks. But the time has come to use them, before they rot. There is nothing more rewarding than using what is available to you, letting nothing go to waste. Add to these the logs we have from the sycamore we pollarded in January, with more to cut; and the oak logs, with more to cut, that will not be ready until the winter after next, and we are set up for the next three winters. So the log store is full with a mixture of pine and hardwood (you can burn pine providing you mix it with other woods) I’ve burnt calories, the puppies are happy and our garden is getting tidy, in small steps. I don’t have a lot in material things, but what I do have money cannot buy. I am blessed. Changes – Follow the trees and go where the wind takes you. As I sit here on a rainy autumn morning, I am inspired to write in the blog that got me out there. This is the blog that is the sequel to the other one really (makingthisbetter.com) – even though I started writing it first – because this blog is about our next adventure, and in it I hope it shows all the things we learnt on that bomb strewn road that we travelled for so long. So I am sitting in bed with my second cup of tea, looking out at my favourite tree gently swaying with the breeze and going with it, instead of fighting against it, and I am reminded, as the seasons change, that change happens every minute of every day; and you just have to go with it, bend like the tree, and understand that fighting against it won’t change anything. Autumn is, for me, a particularly poignant time of year, the leaves are dying, birds are leaving, winter (and harder times) are coming, and the year is drawing to a close. But you can’t fight it, so why not enjoy it, because it is the season where nature puts on one of her most stunning dresses, and shows us how beautiful everything is, even in death. Even this week, after being extremely busy with Rich doing the roof, and me being main caterer and house maintainer, I have changed our lives again; I have set up my new blog, a serialisation of my book ( The book currently has the title ‘I don’t think I can do this’) and put it out there for the world to see, and our lives have changed again. In less than six days it has had nearly a thousand views all over the world and counting. I know it is not only a good story, and that it would touch the hearts of many, but that it would also help people. We both knew this could make a change to our lives, but we are strong together now and know that it won’t change what we have learnt. I have to say that it has been an especially brave thing for my husband to do, because right now, where the story is at the moment in his words, he looks like a c**t! I did reply that at that time he was a c**t but the important thing for him to remember is that he is not one now, and it is always the here and now we deal with. So changes are still happening, we had planned to get out in the garden this weekend, to try our our new log splitter (the things that excite us now! ); and to continue with the mammoth task of cutting our wood. But the rain came yesterday and we had to get the final part of the roof watertight, because it is not yet finished; and ‘The Livermore’ and Dylly Dylly have decided to make an impromptu visit and are arriving on Monday, this time with A.N. Other in tow, to see if they fit in with the pack ( see more changes! ); and today we planned on going to a vide grenier, but the rain put paid to that. So, going with the flow, we have spent a morning in bed with the two Welshie snuggle bums, later I will do a little housework and then blog, there is a big story to tell…. 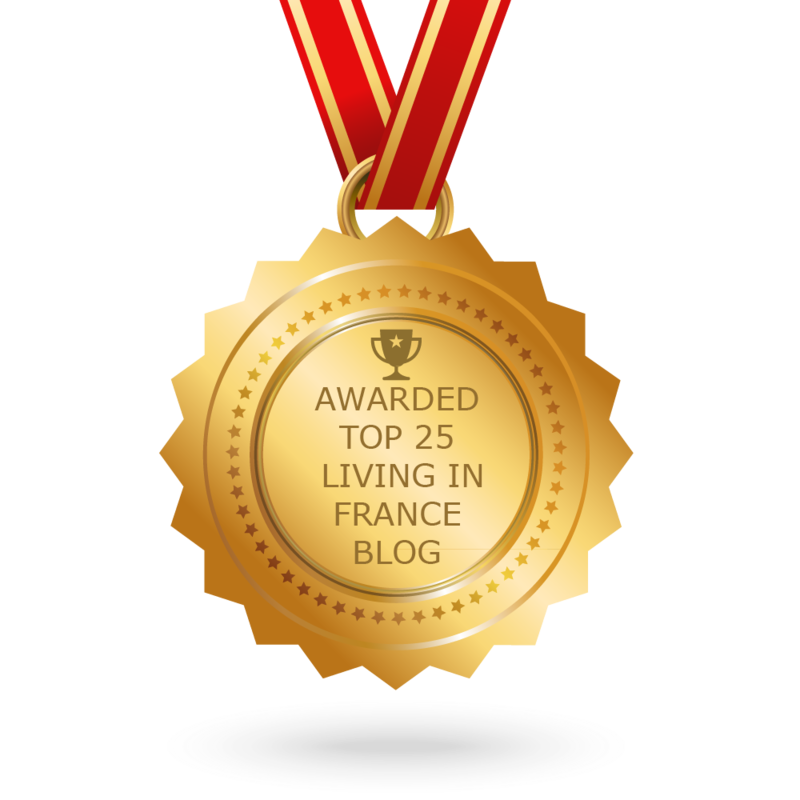 But remember folks, this blog, moisfrenchadventure.com is really the adventures of Moisy and Rich here and now, going with the flow, so this one is the one to keep you grounded when the other blog takes your breath away. A big thank you to you all for your fantastic support. Changes – The Roof – The history of our house has started to unfold..
Firstly I want to say a big thank you to all those who offered their advice regarding my question on my last post. A new blog will be set up early next week, it may shock some of you, but will show how adversity can, more often than not, bring about change for the good. The roof is now well underway, as you can see from the picture above the old dormer window has now gone. We had to be realistic we were never going to use the small amount of storage space in the roof, and to keep it would have added additional cost to the work, so it had to go. Continuing with the theme of change the roof started to help us understand the history of this house. We had always thought that our kitchen was a later ‘addition’ to the house (our house was built in 1812) but we now know that it had been an open ended stable, and the loft above it would have been used to store the hay for the animals. At some point it was bricked up and turned into our kitchen. You can see from the photo how the bricks were put in to create a doorway, and if you look to the left I believe that there used to be a window there also. It also explains why we have such small windows (soon to be made bigger) in the wall at the side of the house, they would have just been open windows, the type you find in a barn. The door to our living room from the kitchen is a beautiful, sturdy, solid oak door (shame about the wallpaper on it for some reason French people used to love wallpapering doors!) so we had assumed that this had been an outside door at some stage in our house’s history. We also had our suspicions because it was clear that at some point the front door to our house was here, leading straight into what is now our big our living room. There is a concrete lintel in the floor under the window, which was a step at one time. It was probably led into a small kitchen then, as you can see that our living room was originally two rooms, as there is a steel rafter across the centre of the room. It’s been an exciting and busy time, the cats have loved investigating the old loft space, and our garden looks like a building site, but the first stage of the roof is now watertight and ready for the tiles next week. We have been blessed with good weather, and I am counting my blessings every day. I realise as I write this now, how we are making more changes to this house, that will add to it’s history that, one day, someone else will uncover. As I always say the only constant in life is change. Keep reading, there’s more to come folks.